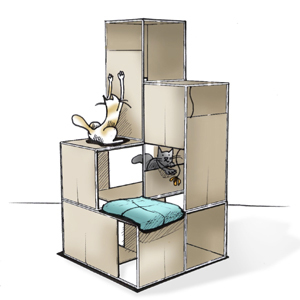 It was in early 2015 when we decided to meet one of the biggest challenges of modern cat owners and interior lovers: the creation of a functional but contemporary piece of cat furniture. The problem we were facing back then is well known to most cat owners. Traditional cat trees tend to be made of cheap wood, coarse sisal and lots of plush. They are first and foremost created to meet their primary function – to provide cats with a place to scratch, climb, sleep or hide. 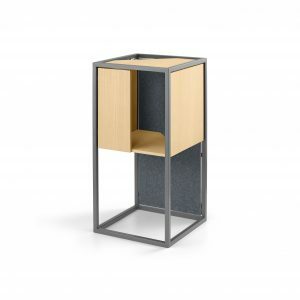 However, their design does not take into account that the cat tree does not only have to meet the needs of the cats, but also of their owners. With its poor design and cheap materials, the cat tree is often a blot in the modern interior design landscape. What we wanted to do was to create something completely new. 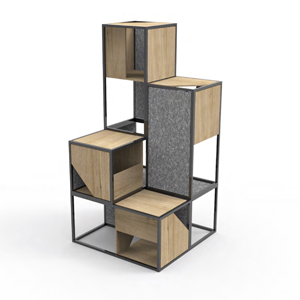 Something that did not resemble a traditional cat tree, but blended in with a pure and modern interior while providing the cat with everything it demanded of its furniture. 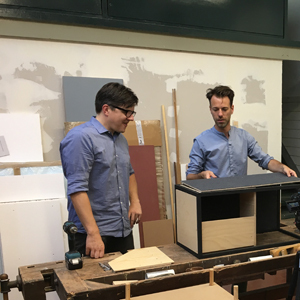 We soon realized that we needed a creative and open-minded team to achieve our goal of creating this revolutionary piece of cat furniture. That is why in March 2015, we discussed our idea with the designers of RSW (formerly known as Ding3000). Fortunately, the team was as enthusiastic and excited about the project as we were. Together, we started the journey towards ALBERGO. The task our design team was facing was everything but simple. In order to create something new, RSW had to rethink the concept of the scratching post and come up with new forms and functions. However, the product designers presented an innovative idea that would look nothing like a conventional scratching post. ALBERGO is carefully designed to the last detail. The single element provides everything a cat could ask for, such as space to climb, scratch, perch and sleep. The highlight of ALBERGO, however, is its modular design. Through the use of connector clips, several elements can be arranged horizontally and vertically in numerous formations, offering an ever-changing landscape for cats to explore. With the first prototypes, we started an extensive test phase. Selected felines were invited to explore ALBERGO with paws and claws to make sure that the object appeals to a cat’s natural instincts to climb, play and relax. After all, the product was not only supposed to meet contemporary interior design standards, but also to fulfill the needs of cats. The test phase was successful: The cats enjoyed exploring the piece of cat furniture. However, before we could start the production, we had to face another challenge: the choice of materials. We did not only want ALBERGO to fit into any modern interior, but also to be durable in order to withstand the cat’s claws and climbing activities. Finally, we chose a powder-coated aluminum frame combined with a clear lacquered light ash wood, offering a harmonious and contemporary contrast. The design felt used for the scratching surfaces is extremely durable and comes in matching colors to give the design the final touch. Three different color combinations allow cat owners to combine different ALBERGO elements according to their own taste and interior. The high-quality materials and the well-conceived functionality of ALBERGO set a new standard in design for contemporary cats. 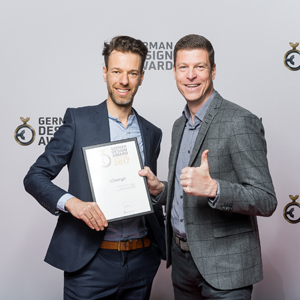 Prior to the product launch in 2017, MiaCara was awarded the German Design Award Special Mention for the new cat furniture ALBERGO.